CTCSS and DCS are systems used to ignore other users who you may be sharing a radio channel with. These two systems are also referred to by other names, including CDCSS, PL and DPL, but the official terms are CTCSS and DCS. They both have the same function and work in similar ways. CTCSS stands for Continuous Tone Coded Squelch System. Basically what it does is this: it adds a tone into your transmission at a certain frequency. Other radios must have the same CTCSS tone or code set to hear the transmission. It will also be heard if the radio has CTCSS and DCS off. Different CTCSS codes have different frequencies, and this is how it filters out other people - as long as they have a different CTCSS, or no CTCSS, then your radio will not pass any audio to the speaker. DCS works the same, apart from it being digital instead. It stands for Digitally Coded Squelch. It sends a number repeatedly encoded in digital as you speak, in the low frequencies so you do not hear it. If someone else transmits on the channel with a different or no DCS, the radio will not unmute. If they transmit with the same DCS as you, then your radio will unmute. DCS is newer than CTCSS, and has more combinations. Now that you understand how these work, I also want to clear something up. Some manufacturers call them "Privacy tones" or Privacy codes" or even act like they are different channels, and advertise that the radio has "968 channel combinations." All of this is completely untrue. CTCSS and DCS don't stop anyone from listening to you, they just stop you from hearing other people. If someone has a radio with no CTCSS and DCS on, they will be able to hear everyone on the channel, including people using CTCSS and DCS. Also, CTCSS and DCS do not make additional channels. If someone is on the same channel with a different code, then its not a different channel. If you stand next to them and both transmit, your radios will interfere because they will be trying to use the same channel at the same time. On PMR446, there are only 8 channels (or 16 channels in new radios after the law was changed to allow 8 new channels), and no CTCSS or DCS can change that. This post will be about how to choose two way radios. It is about two way radios for private use, or personal use, not business radio. When choosing two way radios for personal use, you will be choosing from a few categories. 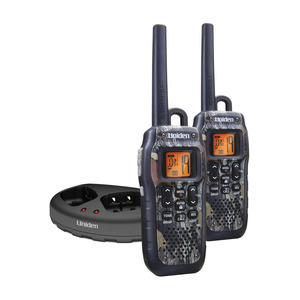 If you're in Europe, there is a market of PMR446 radios to choose from. In the US, you can choose from a range of FRS radios, or GMRS if you get a license. I recently bought 2 DP3400s and have been enjoying using them. I have to say that immediately you can tell that they are better quality than the Kirisun S780, but you would expect that when they cost about 4x as much. The radios feel sturdy in the hand, and they feel like they wouldn't break easily if dropped. They are also submersible in water which is a very handy feature. I haven't dared to test this yet, but I have put the radio under a running tap, and it survived that test perfectly well. On the downside, the radio is incredibly heavy compared to any other radio I have ever owned (about 400g). It's almost double the weight of the Kirisun, and a lot more than my other radios. This is down to the battery, which is very heavy - the actual body of the radio is quite light without the battery. I think it's a shame that Motorola only supply the radio with a NiMH battery, whereas most radios these days come with the superior Li-Ion batteries. The analog audio sounds very nice on transmit, although it could be a tiny bit louder. (Even with the gain turned right up) The digital audio sounds very nice too, I think it sounds a lot better than the Kirisun's, and it also has a much longer range than them. The range of the digital using these radios is more or less the same as analog, when used without encryption. However, the range does decrease quite a bit if you turn on enhanced privacy, so I would not recommend using enhanced privacy. Digital definitely sounds an awful lot better than analog when the signal is bad, however, I think analog sounds very slightly better when the signal is good. This is only true when the signal is so strong that there is no noise. I've been testing out these S780s a lot recently, and have been finding that the range is probably no better than an analog radio of the same power. Despite the claims by most manufacturers that digital gives better range than analog, this turns out not to be true for the Kirisun S780, or at least for the ones I have. The digital does not work anywhere near as well as analog when in a moving vehicle due to objects moving in and out of the path causing a kind of fluttering effect on the signal. On analog you would be able to make out some words and miss others when this is happening, but with digital, you just don't decode when this is happening. You will see the green light but the radio just doesn't lock on to the signal. This is because the radio has to lock on to the digital before it can decode, but the analog doesn't, and allows you to hear very short segments if they are there, such as a fluttering signal. When using the radio from a static location, I have found that analog has a significantly greater range than the Kirirsun. This is down to the fact that the Kirisun has poor filtering and would be desensitized by any other nearby RF, even when on a completely different band. If you're in the middle of nowhere, where there are no strong FM radio stations, or pagers, or mobile phone masts, then the Kirisuns will perform better, but they will still not come close to the performance of analog. Since the majority of us live in cities where there will be a lot of RF around, I say that the Kirisuns are nowhere near as good for range as a normal analog radio of the same price range. However, even though the range might suffer, I think it is still better using digital in cases where range is not critical. e.g. For use in a shop. There are some features that make digital worth using: The fact that you can status inquire radios means that you can leave a radio somewhere and then take another radio out to see how far you can get without needing someone else to sit there waiting for you to do a range check. In practical use, you can use the status inquire to see if someone is in range, and then if they are not, you can try moving position slightly and trying again before attempting to call them. You couldn't do this on analog. Another feature that make the digital superior is group and private calling. This is really useful in a group of people where you might want to speak to one person without the others hearing. You can also easily talk to new radios owned by different people without setting it up in the software. You can dial their radio ID directly from the home screen, which private calls them when you press the PTT, or you can add them as a contact if this option has been enabled in the programming. The other good thing about using digital is that its digital! You get to hear that weird vocoded voice. I mean sure the novelty will wear off after a while but it is very fun at first. Oh and no scanner users can listen in to you, even with encryption turned off. My overall opinion on the use of these radios is that its worthwhile using them for fun, or for the convenience of the digital functions, but if range is very important to you, you should consider using analog or a better (more expensive) digital set. I wouldn't consider using these for a business where communication reliability is essential, but for private use, they are good fun to play with where communication is not critical. So, today the Kirisun S780 came back from repair. Took 16 days in total including postage both ways. They have actually replaced the radio rather than repaired it. I don't know why they did this, maybe they don't yet know how to repair it, or maybe it was too badly damaged. I could tell it was replaced because there was a screen protector on the screen, and the programming I put in had gone, and been replaced by the default programming. So, in summary, I want to say I'm happy with the repair service provided by 409shop, which was fast considering it was sent all the way to China, and they even provided a tracking number on the way back to the UK. They didn't offer to pay my postage costs, but I didn't ask them to, since it was only £4.50. Well, today I turned on my Kirisuns again, and was trying out the messaging a bit. I turned the volume up on one radio and sent it a message, and the audio went! After that, there was no more audio coming out of the speaker when I pressed buttons, sent messages or voice calls. Very annoyed with this. I think kirisun will need to sort out this problem. Other people have said that their audio has broken too, but no one else I know of has had this happen just by turning the audio up all the way. It happened to others if they plugged in the programming lead with the radio on. I'm going to try to get the radio replaced or repaired, and hope that the other radio doesn't produce the same problem. I've tried turning the radio on and off, even removing the battery, but still to no avail. I think it's definitely a hardware fault. Chinese manufacturers really need to get their act together and properly test their products before selling them to people. When I got my Kirisun S780s a few days ago, I was messing about with all the settings as I usually do with new gadgets, and turned on encryption in the programming software. This got me thinking about preppers. Preppers usually like to have communications equipment prepared for possible times of disaster. In a WROL situation, where someone could loot you for all your preparations if they knew about them, I'm sure preppers would like to have encrypted communications, so that anyone with a scanner can't find out where they keep their food stores or secret stash of fuel. 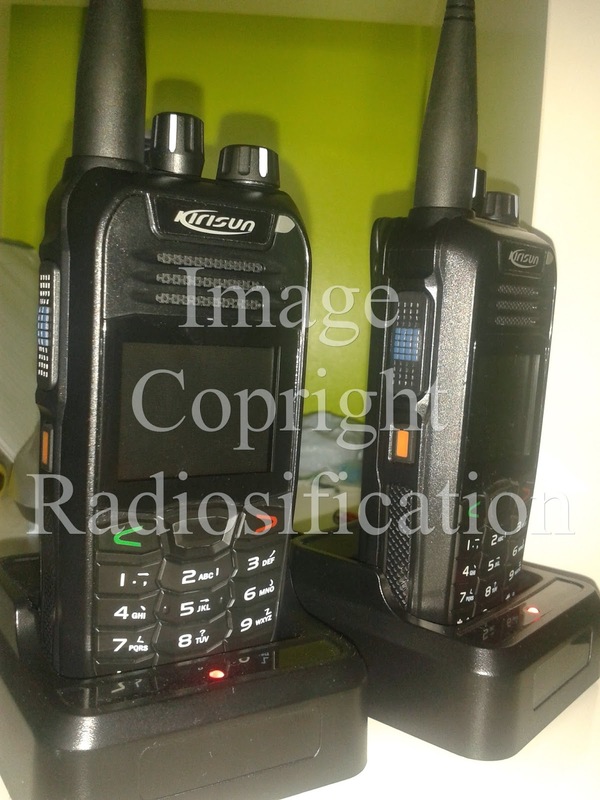 These Kirisun radios provide inherent security, in that not many people will have radios that use the same vocoder, and it is unlikely anyone around you will have one. This could be called "security through obscurity". That is even if you don't turn on the encryption. To a scanner listening in analog, these radios just sound like a load of noise. Now, if someone were to buy a radio the same as you, and program it up to the same frequency, they would be able to listen in to any unencrypted comms. Thats where the encryption comes in handy. Switch over to an encrypted channel, and they will not be able to understand it at all. All you hear when listening to an encrypted channel on a radio without encryption, is a few funny digital noises. But at the same time, you can understand anyone without encryption on their radio. Just a few photos of the kirisun s780. For more info, have a look at my YouTube playlist with the best videos of the Kirisun S780. I have been experimenting with building a repeater at home with parts I already have. Not buying any duplexers or cavities or anything. I've tried 3 different types: A cross band, a simplex, and a erm same band repeater. The repeater with both input and output in the same band seemed to work okay, until I got a friend who lives about 2 miles away to try and get in to it. When he keyed up his radio, it completely desensitized the receiver which lost the signal straight away. The effect of this, heard on the repeater output, was just a load of noise. I would hear noise, then the repeater would close the squelch, then it would stop transmitting, and the receiver would be able to hear the signal again, and it would start all over again. This might have been to blame on my use of a scanner as the receiver, but as I said, it was a simple design using only parts I already had. All I used was a PMR446 radio as the transmitting side, and a Uniden USC230-E scanner as the receiver. When the scanner heard a signal, it would send the audio through a standard 3.5mm audio cable, to the Binatone Action 950, via a 3.5mm to 2.5mm converted. The Binatone would then key up using vox. I told you it was simple! Someone told me afterwards that the scanner probably has a very wide front end, meaning that it would be desensitized very easily. I should try it with another radio, such as one of my Chinese PMRs, but I need to buy another 2.5 to 3.5mm adapter to do that, since the audio out on the Chinese radios I have is 2.5mm. With a large split, and a better suited reciever, I think the same band repeater should work a lot better. The other type of repeater I tried was the cross band type. I used 446 as the output, and one of the UK simple business channels and the input, on VHF. I know this is not strictly within the rules of the bands, but it is only for experimentation, not permanent use, and I set it up in a way that would cause minimal disruption. This setup did not have any problems with desensitization, but it did have problems with signal propogation being different on VHF and UHF. I asked the same friend again to try and talk through this repeater, but this time, he could not get in at all, even though he could hear it perfectly fine. His VHF signal just did not reach the repeater. I suspect this may have been down to the antenna he was using. It was the stock antenna that came with a dualbander. These stock antennas are usually good on UHF, but awful on VHF, since they are just too short. I think if he had used a longer antenna, like a dual band whip made for amateur use, he might have been able to access the repeater fine. I also tried this repeater out from slightly closer, but still not a location where the signal would be very strong, and it worked fine from there. So I think the fix for this repeater would just be to use extendable antennas on the radios, so that they could be extended to transmit effectively on VHF. After these two problems, I decided I would try a simplex repeater, using the scanner again, and the Binatone radio on vox. This seemed to work pretty well for range, but it did have a bit of a problem of cutting off the first second or two of audio, so you would have to repeat messages a lot. It's also quite tedious having to wait for your message to be played back again after you send it. I think the cross band repeater is the most effective. Maybe if I were to switch the output and input, and use a VHF radio to transmit, instead of the 446 radio, it might work better. Although I would then have to use a computer and a com port keyer to key up the radio, since all of the radios I have don't key up the vox when you use an audio cable plugged in to them. I ordered the S780 today, so will be doing a very detailed review as soon as it arrives! Look out for it. A few people on the group have been complaining about them ordering 2 radios and one of them not having working audio. I'll be pretty annoyed if that happens with mine! I'm really hoping at the moment that it doesn't. Okay the radios came today (10/07/13) and they do not have the audio problem (yet!). I have already done a range test and have to edit it, along with an unboxing video showing what the digital audio sounds like, and the analog. I must comment, that the analog sounds awfully muffled on transmit. Will be uploading the videos either tomorrow or the day after. Another update: there are now lots of videos about this radio on my youtube channel. One of the radios has developed the audio fault and I am having to send it back to Hong Kong to be repaired/replaced. Here is my new video. I spent a long time making and editing this one so it should be good. It's about DSD and the easiest way to set it up and start decoding. Ever see radios labelled with IP codes, such as IP55, or IP67? In this post I will explain what they mean and how they were derived. IP stands for ingress protection, and it is a way of measuring how water and dust resistant a device is. The first number in an IP rating signifies the dust or particle protection. 0 is none, and 6 (the highest) means completely dust proof, and no dust can get inside the device. In between, you have various sizes of particles ranging from 50mm down to 1mm, and then dust. Almost all radios will be able to get a 4 in this section, so a 4 or below is not a very good score to get. A 5 means that the device is protected from dust enough so that the dust will not affect its operation, and a 6 means that no dust at all should get inside the casing of the dust. The second number tells you how waterproof or water resistant the device is. If you want a device that can withstand even the heaviest rain (without being submersed), then look for a 5 in this section. The specification to get a 5 is that water jets can be sprayed from any direction without any damage occurring to the device. With radios, that includes receiving and transmitting while being sprayed with jets. For a 6, the specification states more powerful water jets, with a rate of spray of 100 litres per minute. 7 and 8 are the highest ratings that can be achieved, where 7 is immersion in 1 metre deep water for 30 minutes, and 8 is immersion continuously, at a depth stated by the manufacturer. Level 8 will generally not be used for radios, since 8 is only really needed for diving or underwater uses. 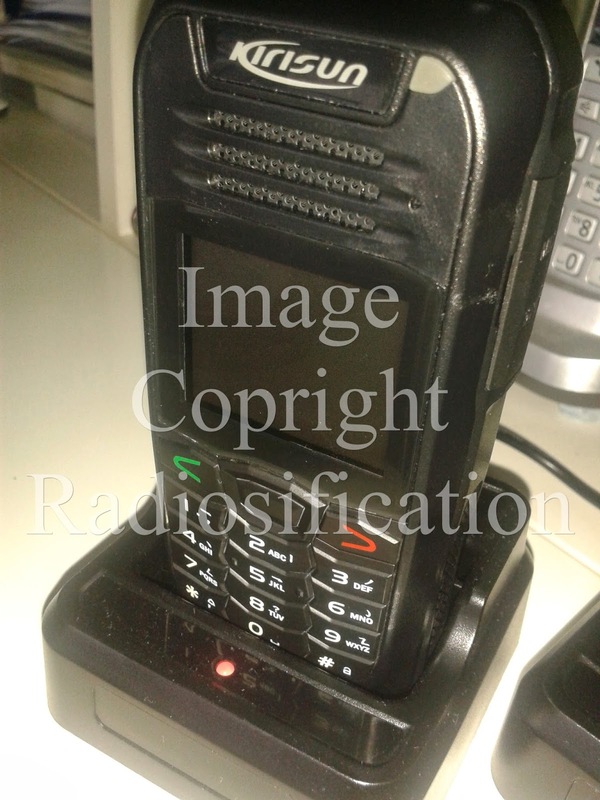 As an example of the IP rating used for radios, the Motorola DP3400 is supposed to be IP57. This means that no dust will enter enough to affect operation of the device, and it can be submerged in water at 1m for 30 minutes and will still work fine. I'm very interested in this radio because it is a cheap way to try out digital, so I have been looking through the internet and contacting manufacturers and resellers about this product and thought I'd create a post to show everything I've found out that you might want to know. 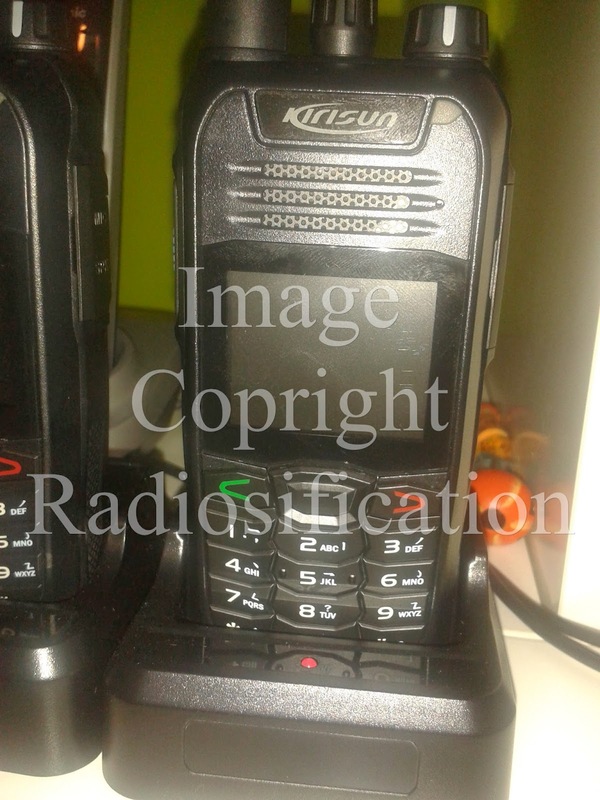 The Kirisun DP770 is another digital radio by Kirisun, but this time, following the DMR standard. I have made this post to collect together some information about the radio because there is not a lot available at the moment. The next thing is the only non official source of photos, which is currently this Russian website who will be selling the radios when they come out. I think this is going to be an excellent product for Kirisun because of all the features it has, which should allow it to compete with MOTOTRBO in the DMR market. This radio is certified to the DMR standard by the DMR association which means it will work with existing MOTOTRBO and Hytera DMR repeaters. It also has optional GPS tracking, and IP67 (water and dust proof) which I was surprised by, since appears to be such good quality for what is should be a reasonably priced radio. I just hope they do set the price low, otherwise there would be absolutely no point in anyone buying this product over a Motorola. The design of this radio looks very similar to the Motorola DP3600, just with a bigger and better screen. I presume that Kirisun has taken some of the design from the MOTOTRBO product line, and will now be able to undercut their excessively high prices. Update (November 2013): The price per radio is expected to be around $300 USD, not including shipping or any customs charges. I was a bit disappointed about this, since it is quite a lot once you add on shipping and import duty, you may as well buy a second hand Motorola, which you know will be good quality and you know you're not taking a gamble with. Another Update (April 2014): I got my hands on a pair of these radios, thanks to Radio Distribution Limited, and made a review which you can see on YouTube at the links below, if you're interested. I thought I'd do a video showing the simplest and easiest way to decode ADS-B signals that might be around in your area. This uses ADSB# and virtual radar server. This is a basic introduction to how standard radio repeaters work. Repeaters are used to extend the range of a radio. They are usually put somewhere high up, so that there are no objects between the antenna of the repeater and the users it wants to serve. This allows the repeater to hear and transmit much further than a person on the ground. Using a repeater you could expect as much as 10 times the range or more compared to using handheld to handheld. The repeater listens for transmissions on its RX frequency (or input), and then when it hears a transmission on that frequency it transmits it back out on the TX frequency (output). The frequencies must be a certain distance away from each other, otherwise when the repeater starts transmitting, it will desensitize the receiver and will no longer be able to hear the user talking. Radios will be programmed to listen on the output of the repeater, and to transmit on the input. This means they will always hear any transmission that the repeater makes, and the repeater will hear them whenever they transmit. The radio hears other users via the repeater, even if the other user is right next to them. If they are out of range of the repeater they will not be able to hear anything even if another user is transmitting right next to them, because they will be listening for the repeater to transmit that message. Generally when scanning you will hear two types of repeaters. Amateur repeaters and business radio repeaters. 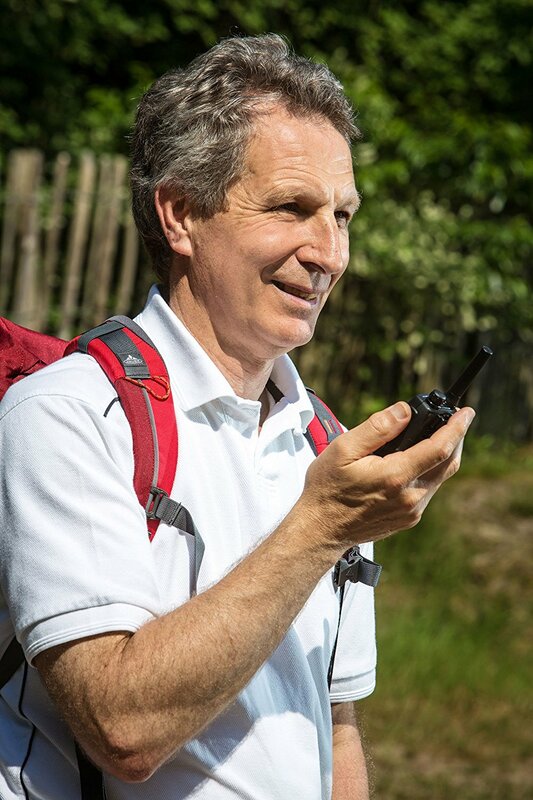 Amateur repeaters are open to access by anyone with an amateur radio license, which can be got from ofcom by sitting a simple test to show you have an interest and a basic knowledge of radio. Business repeaters are closed to the public, and are only for use by employees of the business or people they allow to use the repeater. You will hear businesses like taxis, shopwatch schemes, local authorities, parking wardens who will usually have their own repeaters. Business repeaters will have varying offsets, but they are often the same in certain ranges set by Ofcom. The frequencies of repeaters can be found on the Ofcom WTR (Wireless Telegraphy Register). Repeaters will also usually have an extra requirement to satisfy to be able to use them. This is a CTCSS (Continuous Tone Coded Squelch System) or DCS (Digitally Coded Squelch). People often refer to these as a tone, code or PL, which you can assume means CTCSS or DCS. To put it simply, these are sub-audible noises that are added to your transmission and then picked up in receiving radios/the repeater and decoded. If you transmit with the wrong CTCSS/DCS, or without one, the repeater will completely ignore your transmission. Once you have the correct one set, the repeater will hear you and transmit your message out on the TX frequency, often with the same tone/code. Using the same CTCSS or DCS on the repeaters transmission is useful because it stops the receiving radios from picking up and other users who may be on the frequency (unless the also have the same tone set), or interference caused by electronic devices being close to the radio. Scanners also sometimes have CTCSS and DSC which is used to filter out different groups, or interference on a channel, and only hear the group you want to hear who will be using the same code. Digital repeaters will not use CTCSS or DCS, but they will use other software parameters that are set in the programming software. In DMR this would be the colour code. DMR repeaters work in a very similar way to analogue repeaters, but they listen on the input frequency and then receive and demodulate the data. Then they will modulate the data again and transmit it on the output frequency, often adding data on one timeslot, such as "slot empty" messages when only one timeslot is in use. Because users transmit on the same input frequency, but on different timeslots, the repeater can repeat two voice messages at the same time by simply listening to both timeslots on the frequency. The output of the repeater would repeat both timeslots and receiving radios can listen to either of the timeslots depending on which group is set to use which timeslot. So if one group of users is programmed to use slot1, another group of users who have their radios programmed to use slot 2 will not hear transmissions by the first group because their radios are listening on the wrong timeslot. This post is aimed at new users of radio, who are interested in digital voice on UHF and VHF. Digital is used mostly by commercial users at this stage, and there are a limited number of digital products on sale for private individuals without getting a business radio license. I hope this comprehensive and extensive article will clear up any confusion for newbies to the field, and also give out new knowledge to the same group. One product that can be used without a license is the Icom IC-F4029SDR. 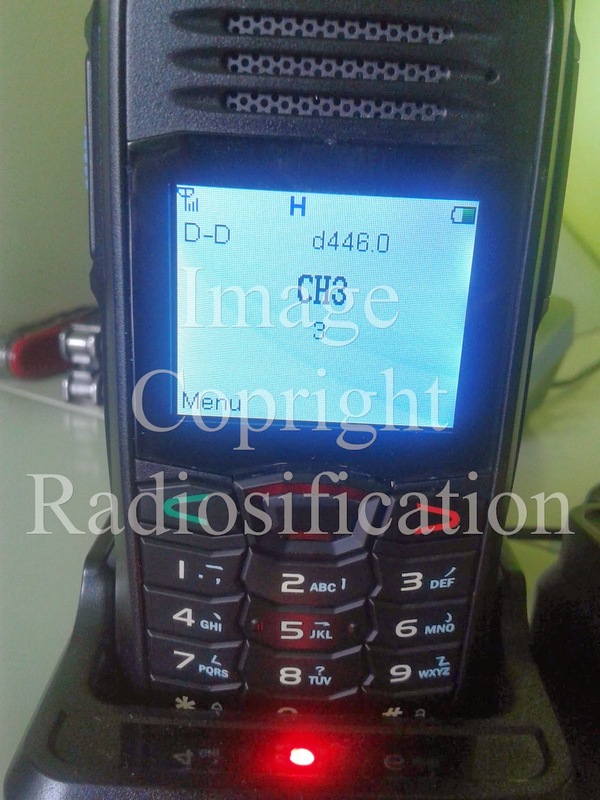 This is a digital handheld that works on the PMR446 frequencies and on the digital allocation which is just above the normal analogue allocation. 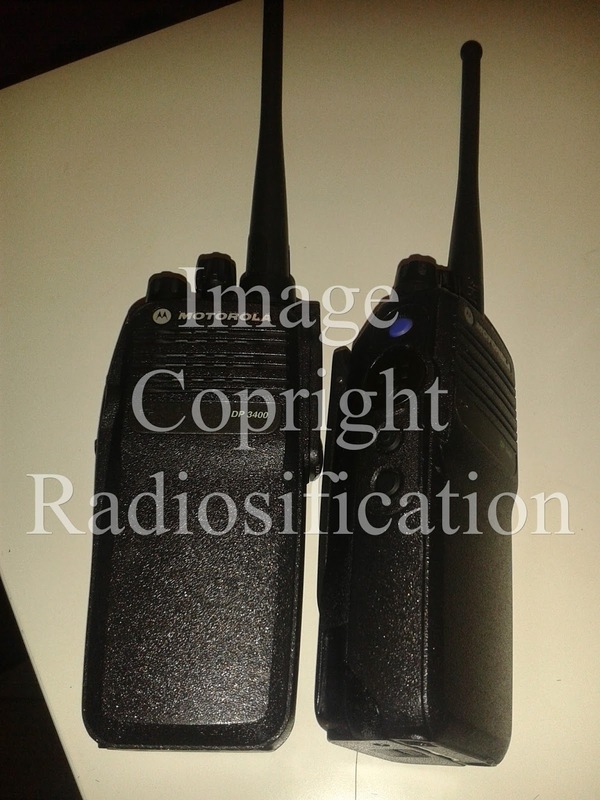 These radios currently cost in the range of £200 each, so as you can see, it is an expensive option for communications where analogue radios which would achieve similar range can be bought for £40. Timeslot: When the channel is divided into segments by time. Data is transmitted in bursts. The switching is done at a rate that it is fast enough not to disrupt the users communications - many times each second. They could use 6.25KHz and occupy all of the time on the channel. Bandwidth: How wide a channel is. The wider a channel is, the more spectrum it takes, up, and the more data it can be used to transfer. Also license fees increase for wider channels. For comparison, 12.5KHz is a standard analogue FM voice channel; 200KHz is approximately what an FM broadcast station would use; and TV channels are about 8MHz wide (1MHz=1000Hkz); GSM (mobile phone standard) channels are 200KHz wide and have 8 timeslots. 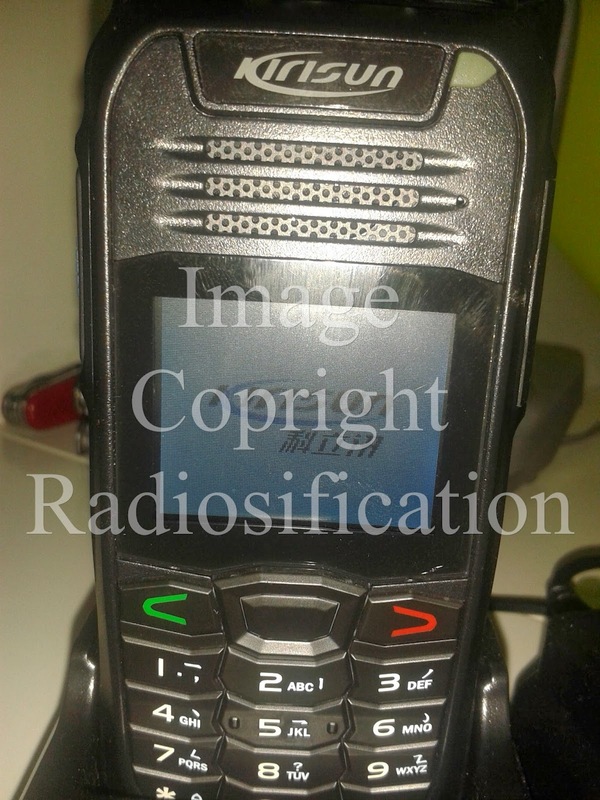 DMR - The most popular mode by far, equipment is sold by Motorola as MOTOTRBO, and also by Hytera and other manufacturers. This standard uses 12.5KHz wide channels and fits 2 timeslots in each channel. (This is called TDMA) A single repeater can repeat 2 voice conversations (1 way, not duplex) at the same time on the same channel by the timeslots. The vocoder used here is AMBE+2. TETRA- This is the second most common option. Tetra radios are usually more expensive than the other 2 types discussed in this section, but also have better features. Tetra radios are definitely more advanced than the other two, since they provide functions such as duplex calls (listening and talking at the same time, like a mobile phone); call handover, which is where individual radios are transferred between base stations without losing connectivity so they can continue transmitting or receiving while moving; and DMO gateways, which is where one radio can repeat a signal from the base station to allow another radio that is further away and out of range to connect. Tetra also uses a different vocoder - ACELP. This vocoder in my opinion sounds a lot better than AMBE. Tetra does not often have a range as good as the other two, but the advanced features make up for it. 25KHz channels are used, but in terms of bandwidth per voice channel, it is just as efficient, because 4 timeslots are used. Tetra is usually only used by larger companies or organisations, most likely because of the cost of the base stations, which are far more than DMR or dPMR. The emergency services (Police, Fire, Ambulance) throughout the UK use tetra on the airwave network which they lease off a private company. This network is fully encrypted and closed to the public. Manufacturers include Sepura, Motorola, EADS. dPMR - Equipment sold by Icom and other manufacturers. This standard also uses the same AMBE+2 vocoder as DMR, but this time uses half the bandwidth (6.25KHz) and does not use timeslots. (This is called FDMA) The consequence of this is that each repeater can only repeat one voice at a time, but this also means you do not need a whole 12.5KHz channel and can license a 6.25KHz channel instead, which is cheaper. The range of DMR and dPMR are similar, but dPMR probably has just a tiny bitof an advantage because it does not use the timeslots and uses only 6.25KHz which makes the radio transmit the same amount of power but in a smaller space. There is also a very similar standard which is not interoperable with this one, called NXDN. This is manufactured by Icom and Kenwood. Icom make radios that work with both NXDN and dPMR. D-STAR - This mode is used by amateur radio operators. It is omptimised for amateur radio and would be very difficult to adapt to any other type of user. Repeaters require callsigns to be used and sound quality is not that great even though it uses the AMBE+ vocoder. Equipment is kept expensive by the fact that there is no competition to the only manufacturer of the standard - Icom. It is also unpopular with some users due to the fact that it uses the AMBE+ vocoder which is strictly protected by patents and copyrights, stopping amateur users from experimenting with the vocoder. It gives consistent sound quality right up to the fringe of communication range. This means no hiss and noise on the radio, but the downside is that it makes it harder to tell how good reception is, and whether you are about to go out of range. When someone is about to go out of range, digital errors will be present, and this will cause the vocoder to make strange noises, sometimes compared to the little robot, R2D2! This would only happen when analogue voice would be too quiet and noisy to understand. Digital can send voice and data. Users can have their ID show up on other radios when they talk; status messages can be sent; text messages can be sent; emergency priority can be turned on which speaks over other users in an emergency. Because digital uses a vocoder instead of sending the voice using analogue, even if you speak into the radio very quietly or from far away, the message will not be overcome by hiss on the receiving end because there is none! Digital voice is much easier to secure than analogue. Many digital technologies come with basic security and the digital stream can simply be encrypted, which is far easier than for analogue, where it would have to be inverted which is not very secure. Scrambling on analogue loses voice quality, whereas it does not on digital. This blog will be closely linked with my YouTube account and will feature similar themes. I aim to cover topics to do with radio including the use of scanners; software defined radio; PMR446; UHF and VHF radio; amateur radio; shortwave listening; digital modes such as DMR, dPMR, NXDN, TETRA, maybe even D-STAR, and decoding some of these modes. Sometimes I will have text only posts; at other times I will have posts with pictures and sometimes I will have posts with video from my YouTube account, along with further or more detailed text info to go with the video.